I recently started making my dog Star’s food using mostly raw ingredients. 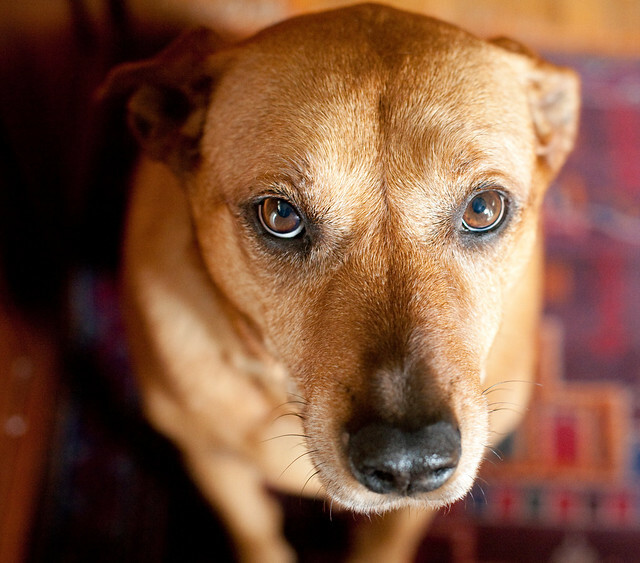 Having heard about how healthy a raw food diet can be for pets, I wanted to give it a try. Almost immediately, we saw a difference in Star’s coat. She even started getting compliments on how glossy it looks. She looks younger than her 10 years too. 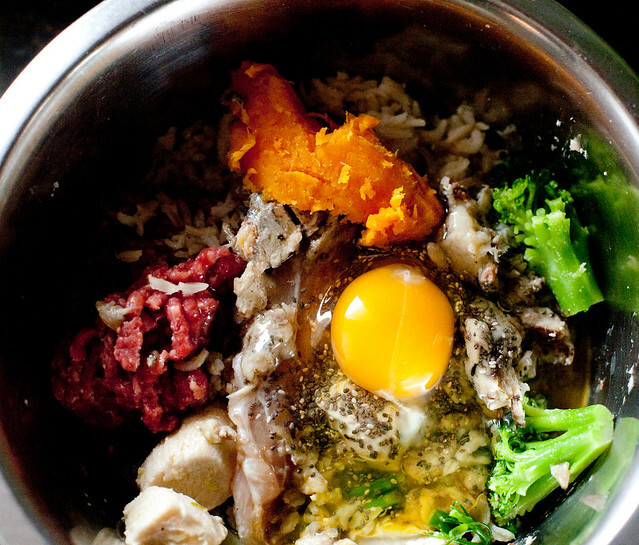 What’s in her meal above is about 1-2 cups of raw 95% lean beef, a tiny bit of cooked chicken, a couple of sardines from a can, a raw egg, some cooked sweet potato, hemp seeds (and a teaspoon of hemp seed oil), and some steamed broccoli. I also usually add a ground mix of egg shells, spinach, maybe a little apple, and red pepper. 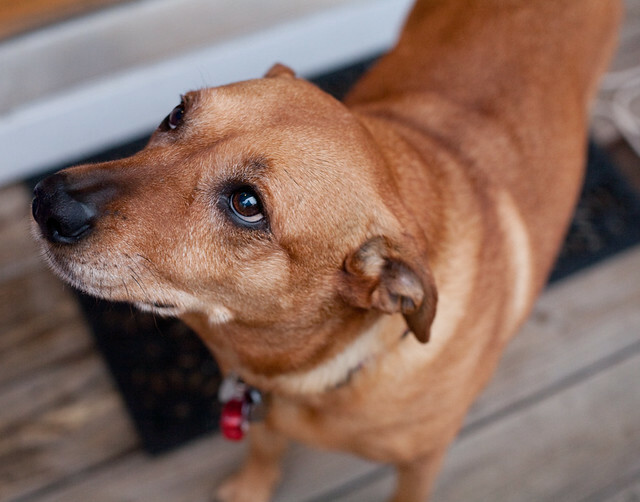 I followed the guidance in the video pretty much to a tee, but Star – who has a sensitive stomach – did not react well to the fatty liver. Instead, after doing some research, I started supplementing her food with a tiny bit of (thoroughly disgusting) green tripe that I also buy at the pet store. I occasionally add some cooked sweet potato too, which helps to balance the effects of fatty foods. 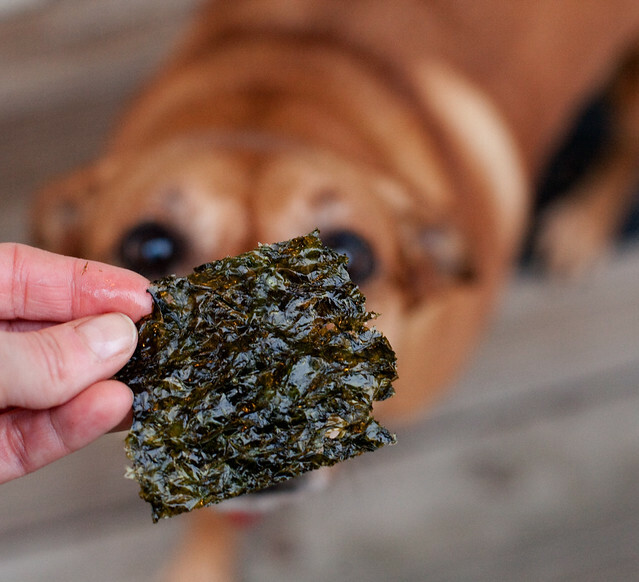 Another thing I add to Star’s diet is Japanese seaweed that I either mix into the bowl or give to her as a treat. She loves it. 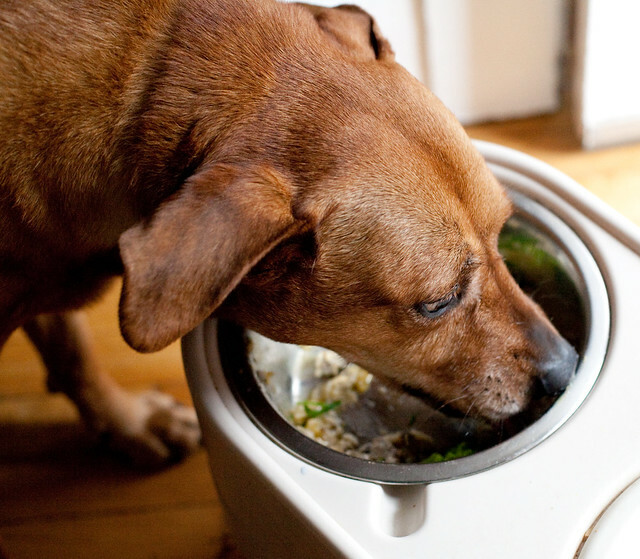 There’s a lot to learn about the benefits and risks of raw food diets. It’s worth doing some research and also talking to your veterinarian if you’re considering making the switch. And, when you do, to do it gradually. As for the expense, I spend probably about the same amount as I did buying kibble (a good brand), but I feel like I’m doing the right thing and I don’t mind making the effort. That’s fantastic news Leslie! I’m glad to be of help. That’s why we’re here! Oh, and thank you for mentioning Nature’s Nibbles. It’s customers like you that keep small businesses thriving!